You need to get along with your neighbours, not just today, but for many years to come. When you own your home, a pleasant and co-operative neighbour will make your life so much more bearable. Irrespective of the legalities, regulations or otherwise, our hobby is largely regarded as out-dated by the broader community and to many, we radio amateurs are considered an anachronism. It is incumbent on us to address this image problem proactively, not only to improve the hobby overall, but also to engender a spirit of cooperation with our neighbours in a hope they will co-operate in dealing with interference related issues. This means interference they cause you, and also, interference you may cause them. If you are unfortunate enough to live next door to a bad neighbour you must do all you can to reverse this situation. If you become aware of something that is bothering your neighbour, or may be a problem for them, take proactive steps to address the issue. (eg. Cut back overhanging branches, tidy up an upturned rubbish bin). You may be able to defuse a bad PR problem with your ham radio before it descends into all-out war. Offer to help them with chores or a problem where you have the skills they don’t. Build a relationship that will hopefully see them being receptive and willing to work with you to resolve interference problems. If you aren’t confident in dealing with conflict, or don’t have good diplomacy skills, consider asking a friend to help. Whatever you do, don’t lose your cool. Do not allow the situation to escalate. As already emphasised, the first and most crucial step in resolving a noise issue with your neighbour is to communicate. If something is bothering you, or you become aware that something is bothering your neighbour, take proactive steps to communicate and see if you can come to a mutually agreeable resolution. If you suspect you are causing interference to your neighbour, ensure you keep a detailed log of all your radio operations. Keep a thorough and detailed log. Ask them to keep a log of their interference. Here is a template. 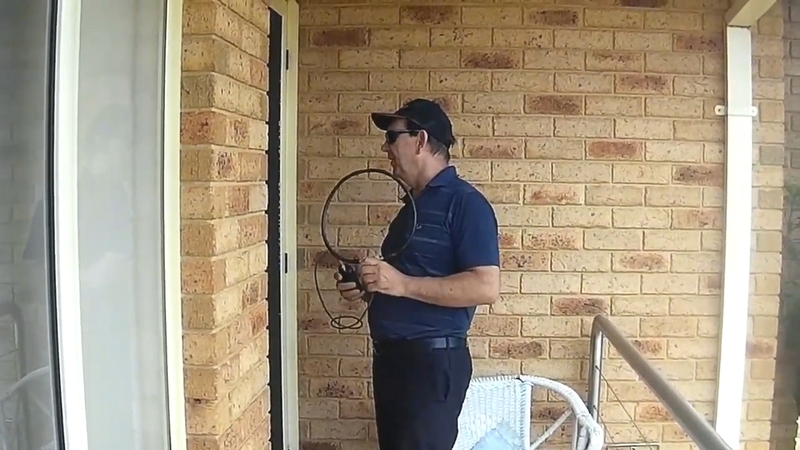 If you suspect your neighbour is causing interference to you, take the same approach. Keep a detailed log. Your approach must be factual, polite, friendly and considerate. Remember, your neighbour probably thinks the problem is with your “big arse” antenna and fancy radio equipment anyway. Avoid aggressive language or accusations. Aim for understanding, empathy and a joint desire to resolve the problem. Consider non-technical challenges that you may need to overcome; language barriers, cultural barriers, age differences and visible pollution considerations. Depending on the relationship and magnitude of the issues you face, you could also provide your neighbour with a copy of the relevant regulations. Refer to the following link. If you chose to do this, be aware that many people are non-technical and may become defensive. Walk them through the documents, explain the detail and answer any questions they have. It may be a good idea to leave them with the documents and invite them to contact you with further questions. They could even follow-up with the regulator themselves, but it may be better if you are able to guide them through this process; enabling you to maintain some control over what is communicated. It goes without saying that you must respect your neighbour’s property and their right to privacy. Hopefully you will be able to gain access if required to locate the suspect noise source. provide your neighbour with a summary of what you have discovered. This list is not exhaustive. Please contribute your own ideas. Consider a schedule when you can operate that aligns with your neighbour’s lifestyle to minimise negative impacts (i.e. low band DX is often best late at night/early in the morning). Consider offering to pay to replace his noisy LED lights. You’ve spent thousands of dollars on your radio, antennas and ancillary equipment. What’s another $100-500 if it means the noise floor drops 8 S-points on the HF bands and you can work that DX again? Offer to install filters or chokes that reduce the noise at your own cost. Assist your neighbour in completing paperwork and approaching manufacturers/suppliers of non-compliant equipment.